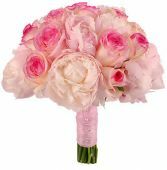 Flowers: Roses, Pink Peonies, White Peonies. 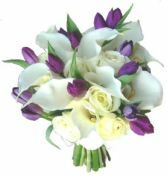 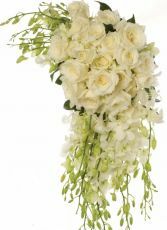 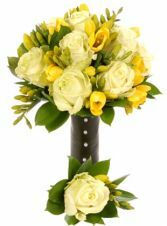 Flowers: White Avalanche Roses, Yellow Freesia, Foliage: Hard Ruscus, Aspidistra. 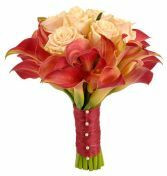 Vermilion Calla & Rose, Bridal Bouquet. 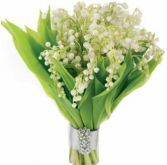 Lily of the Valley played a prominent role in the Royal Wedding,With such a lovely meaning, it is no surprise Lily of the Valley is a highly desirable flower for weddings.fragrant little white bell-shaped flowers, the Lily of the Valley symbolizes a return of happiness, purity of heart, sweetness, humility, happiness and love’s good fortune.The Lily of the Valley is a seasonal spring flower and can be one of the more expensive wedding flowers. 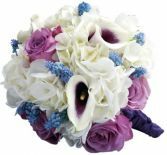 It is also a delicate flower sensitive to heat, another consideration if planning an outdoor summer wedding. 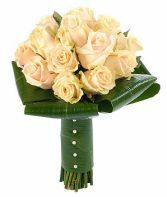 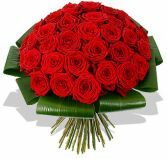 Flowers: Peach Talia Roses, Foliage: Aspidistra. 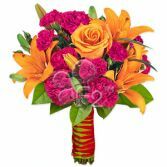 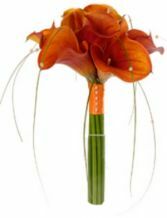 Experience the manifestation of divine energy through this enchanting bouquet comprising of a peach spray rose, hot pink carnations and orange lilies. 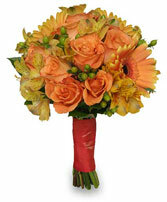 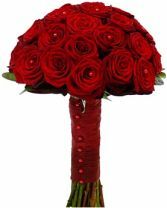 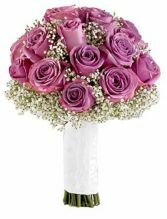 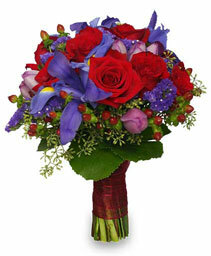 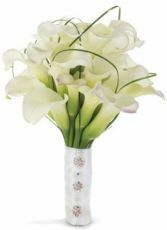 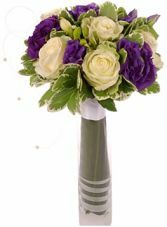 A beautiful arrangement for any occasion but without question the perfect gift for that special someone. 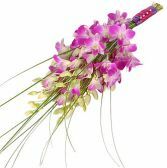 Flowers: Pink Phalaenopsis Orchids, Foliage: Steel Grass. 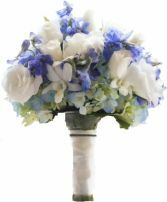 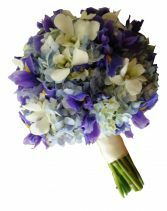 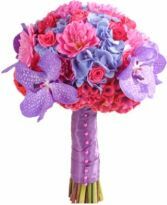 The bride carried a hand tied garden mixed bouquet of roses, lisianthus, orchids, delphinium all nested into a soft blue hydrangea. 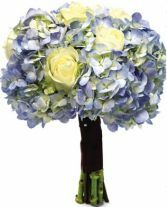 The bridesmaids carried the blue hydrangea with small white spray roses.